Here you can find some valuable information you might need after your purchase of HKS products, such as "Frequently Asked Questions", "Catalogs", "Software download" and other information. We have many inquiries and here are the Frequently Asked Questions list. You might find what you are looking for here. HKS total products catalog「GOODS MASTER」and others can be viewed from here. HKS Co., Ltd. provides the warranty for safe use and customer satisfaction after purchase. 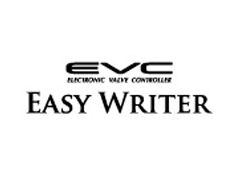 Please check and download from here for EASYWRITER software and product information.